Next Season Plans (Spring 2014) | Mezashite! Stupid Akatsukin! =[ I wanted to compare Mezashite!’s rabbits with VividTaku’s! That post about Gochuumon wa Usagi desu ka? and Akuma no Riddle was an Abril Fools joke. Go re-read that post you’ll notice some bold letters and if you read only the bold ones it says April Fools. This show doesn’t make my heart doki doki, but maybe I’ll give it a try. Yes Yes Yes!!! Best news!!! I really hoped that was just April Fools and it was!!! Yatta! Arigato ga ippai!!! Weird as it may seem, it’s actually a thing. I Will Gochuumon wa Usagi desu ka? B-But what about Akuma no Riddle? Will it never get subs? Pretty bad april fools joke if you pick up a show no one wants. Omg I was so afraid for Aikatsu hahaha! I completely fell for your April Fools hahaha! Thanks for keeping up on the subs :)! The new anime seems pretty interesting too, can’t wait :)! That’s nice. As a manga reader, I’m looking forward to your subs for Gokukoku. Cancelling Aikatsu and subbing Usagi and Akuma no Riddle would be the right thing to do, tbh. 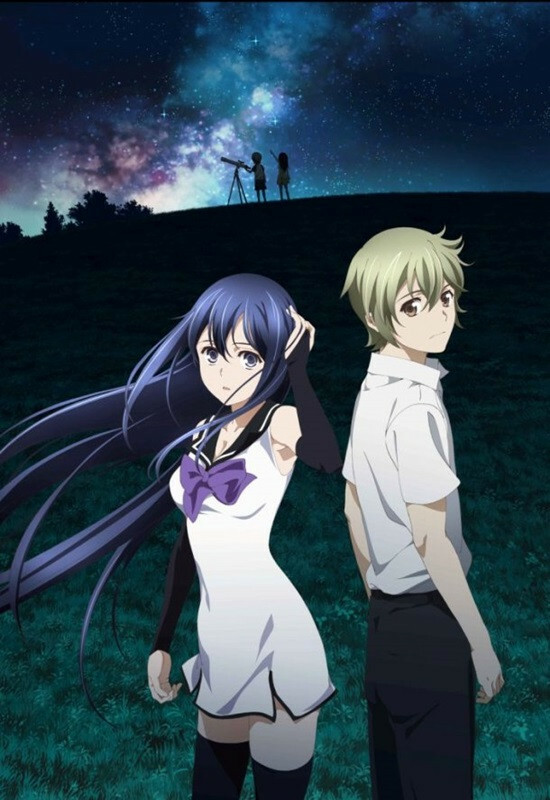 And yeah, doing Gokukoku no Brynhildr is probably a bad idea. Uh– no it would not. Aikatsu has a pretty good fanbase (I know, I’m part of the fandom) and cancelling it would upset a LOT of people, especially considering Mezashite is one of what, two? if that?, who sub it. Just because you don’t like it doesn’t mean it would be “right”. Please do not even. I’m sure someone else equally as awesome as Mezashite will pick them up eventually. Aikatsu is a large project that only appeals to a limited amount of people, and takes up a lot of time. Although Mez are good, they’re small, and small groups often have trouble doing both a large long-duration project like Aikatsu and small short-term projects like Usagi and Riddle at the same time. It’s best for small teams to either do one or the other until they have a decent amount of people and are capable of doing both. From my experience with fansub teams, small teams that attempt to do both, no matter how good their subs are, don’t stay around for long, and teams that do multiple short-term projects stay around for quite a while. You’re right in cancelling Aikatsu being the wrong thing to do, I’m gracious enough to admit when I’m wrong, but putting it on hold, or all the short-term projects (which I wouldn’t advise, short-term projects are usually in higher demand and some people think it’s not okay to resort to watching Commie), until they have more members and/or time. Just for you information but EveTaku is going to translate Gochuumon so go watch their version if you are that desperate, about Akumo no Riddle go watch Horrible/Commie that is what I do when there is no other version around I watch around +20 anime every season and most of it never gets picked up by good groups. Also a lot of subs didn’t even announce their plans for the season yet and that include some big groups like FFF even some A+ groups didn’t announce their plans yet like Underwater not sure about Vivid since I don’t go their irc channel so who knows there are still some chance some group will translate it so please stop whining like a little kid if you don’t like it don’t watch it and that is that. And I agree with the other guy why should they drop their 1st series? It has a good fanbase and most of the people that watch anime from Mezashite started because they were the only group translating Aikatsu and they were doing it from the very start of the show besides they are still the only fansub doing it. So that is a no! The main reason we aren’t doing Akuma no Riddle or GochiUsa is because they air on Thursdays, and we’ve learned the hard way that having two shows on the same day (Aikatsu also airs on Thursday) is a bad idea, especially if it’s a weekday. That said, we wouldn’t do GochiUsa anyway because lyger is translating it for Evetaku and I’d wholeheartedly recommend it over ours even if we were doing it. If no one else picks up Akuma no Riddle, would you consider doing it? I’m sure no one would mind it being subbed later, as long as it’d get subbed. Treat it like it’d air on another day than thursday, is what I’m trying to say. I don’t think anyone would mind having to wait a bit to get their subs for AnR. In fact, it may be more convenient in some cases. no way! Mezashite are the only ones subbing Aikatu and just because you want it they won’t cancel their very first project! Aikatsu has a huge fanbase and there would be more disappointed people than happy if this happens!